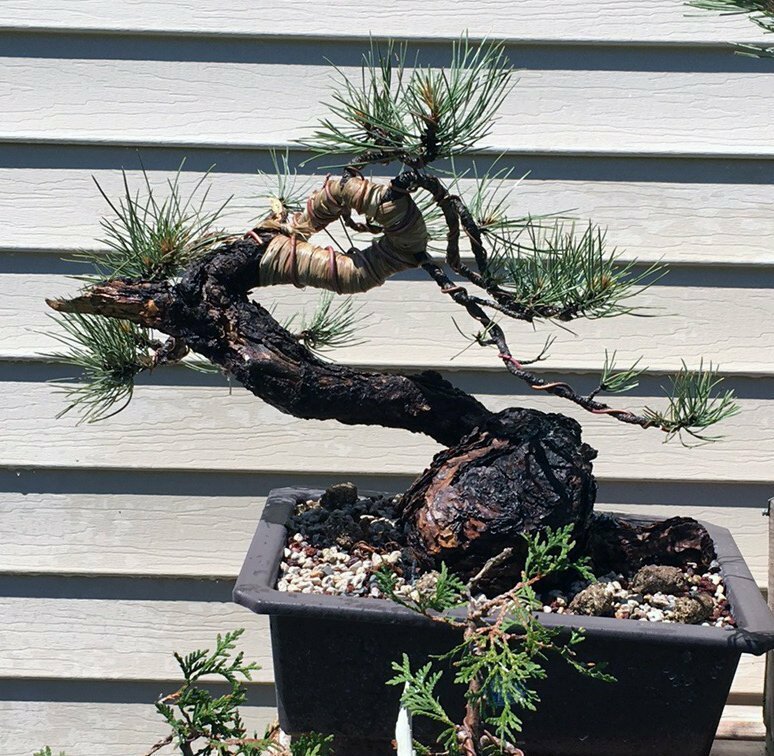 Ponderosa Pines grow to a height of 60′-100+’ tall in the best conditions, but as bonsai, we want the trees that have been tortured. We want the ones that have been forced into growing in the least favorable locations. These would be the trees out in the open on rock outcroppings where they get crushed by heavy snow loads and rock slides. 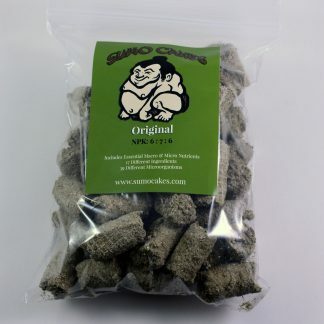 These are the ones that are forced to grow with minimal nutrition, minimal water, lots of sun, and drying winds. We want the ones that are just hanging on. The ones that grow slowly because of the conditions that have been presented to them. Just because Ponderosa Pines tolerate these conditions does not mean that they like it. When we collect Ponderosa Pines out of the above locations we will see shorter needles, but you will not see a lot of budding. You will see growth at the tips of branches and a few small branches on the interior of the tree. 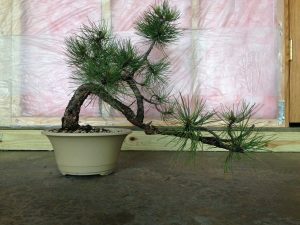 Below are a couple yamadori Ponderosa Pines that I have in my collection. Look at the photos and see where the growth is. On the above trees, we see that they are alive and well, but the growth is at the tips. Despite their ages, there is not much tight internodal growth to create nice ramification from. This is a sign of limited availability of nutrients and water. They have just been surviving and not thriving. 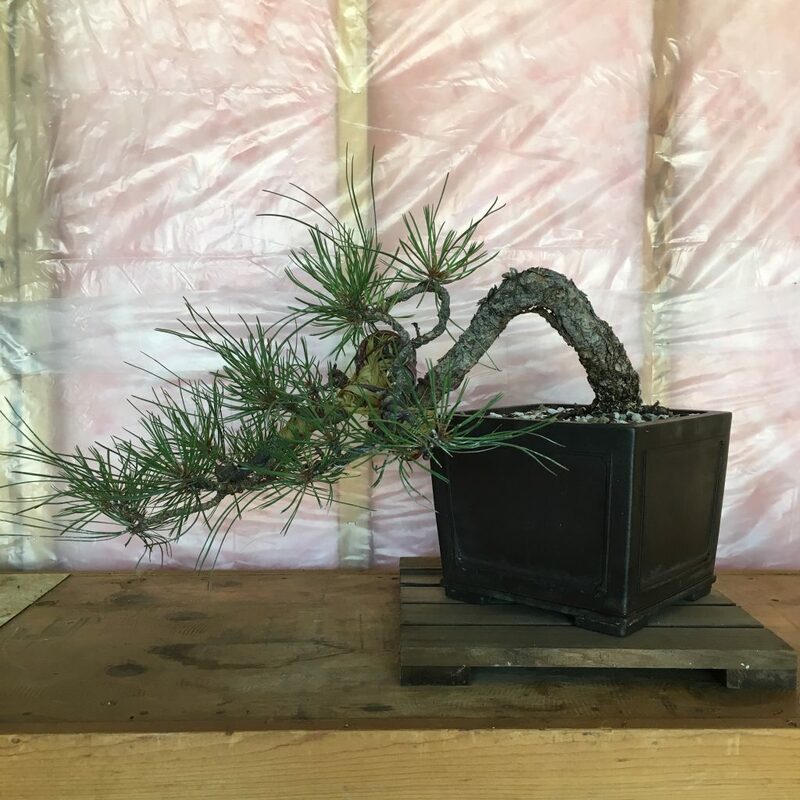 Once you take one of these old tortured trees out of their growing location and place it into a bonsai container or grow box, you are automatically going to be providing the tree with more water and nutrients. Longer needles is the end result. 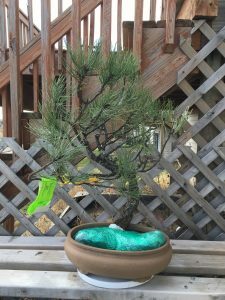 I don’t necessarily have before and after photos of a collected Ponderosa Pine from the time it was placed into a pot, and then after just watering and feeding. But below are three images of a collected Ponderosa Pine, a year after collection, after a workshop, and year after that. The tree came into my possession in April of 2017 and all I had done up to the point of the workshop in June 2017 was water the tree. I had yet to do any fertilization. You can see in the above photos that after the workshop in June of 2017 the needles were still small. Over the course of the next year with proper watering and fertilization of a “newly” collected Ponderosa Pine you can see that needles are super long. As stated in the very first sentence, “Ponderosa Pines grow to a height of 60′-100+’ tall in the best conditions”. 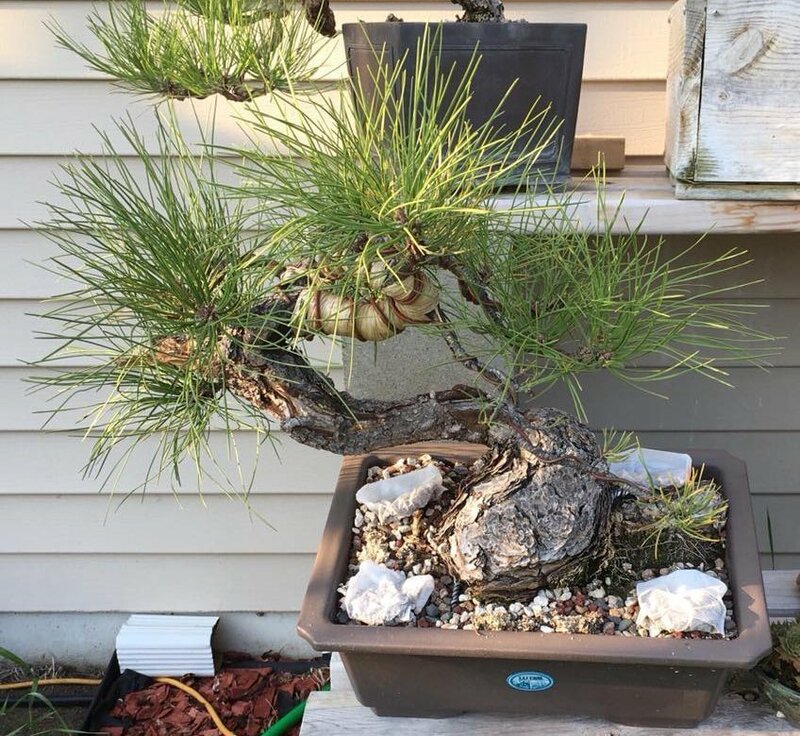 What I did was, I took a tree that had been growing for a 100 years in unfavorable conditions with a limited amount of water and nutrients and introduced it to a more favorable situation. Just because the tree tolerated that unfavorable location for a 100 years does not mean that it liked it. You can see now that the tree is happier than it has ever been. 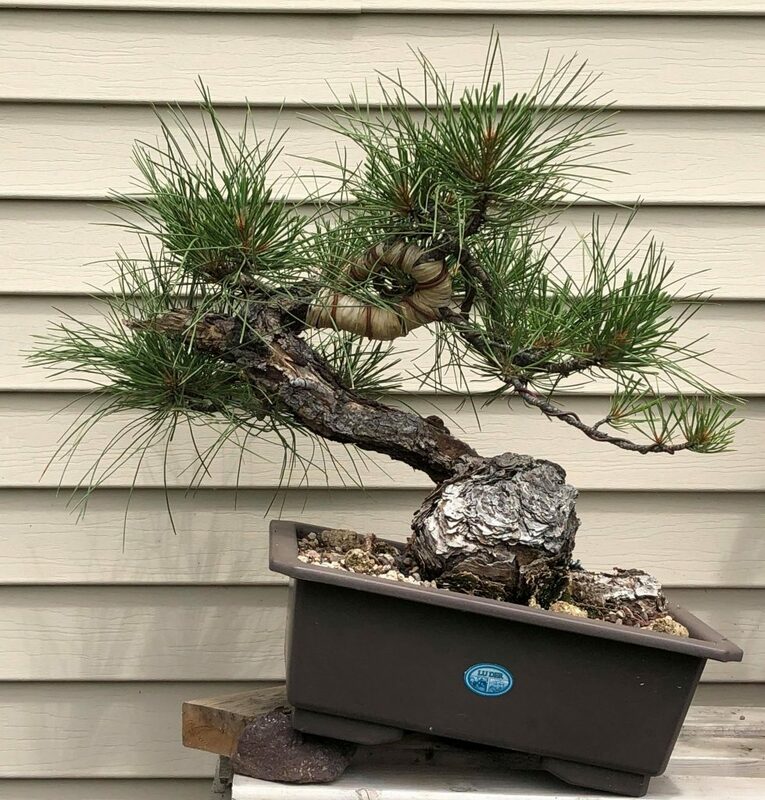 I think with all of that said I will stop here and explain how we used to handle Ponderosa Pines as bonsai (Old Way) and explain how we should be handling them going forward (New Way). 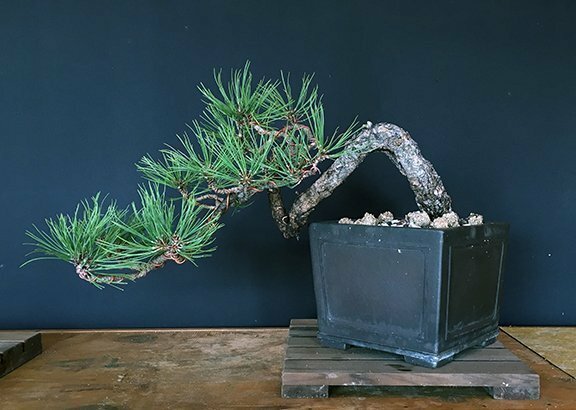 The old way tries to replicate the unfavorable locations that Ponderosa Pines grow in, by not feeding and holding back water, in an effort to keep the needles short. 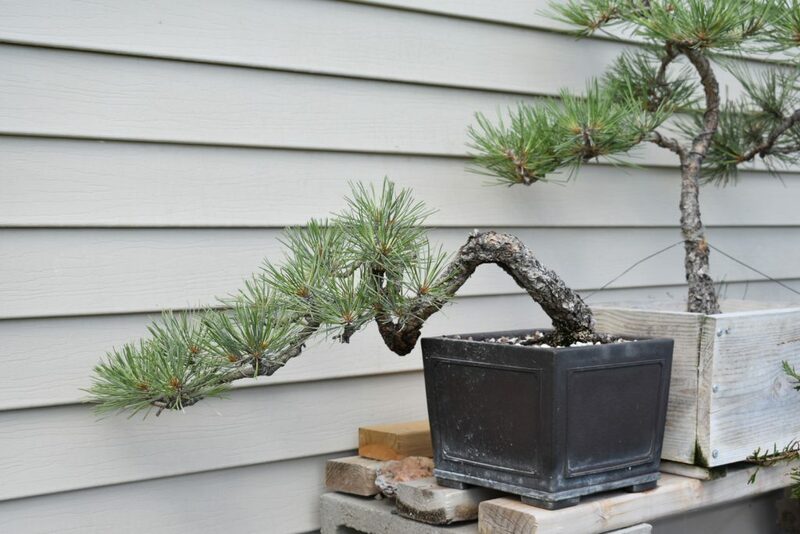 The “Fall Technique” involves pulling most of the needles and cutting the terminal bud in the fall to force the tree to back bud and to grow shorter needles in the spring. 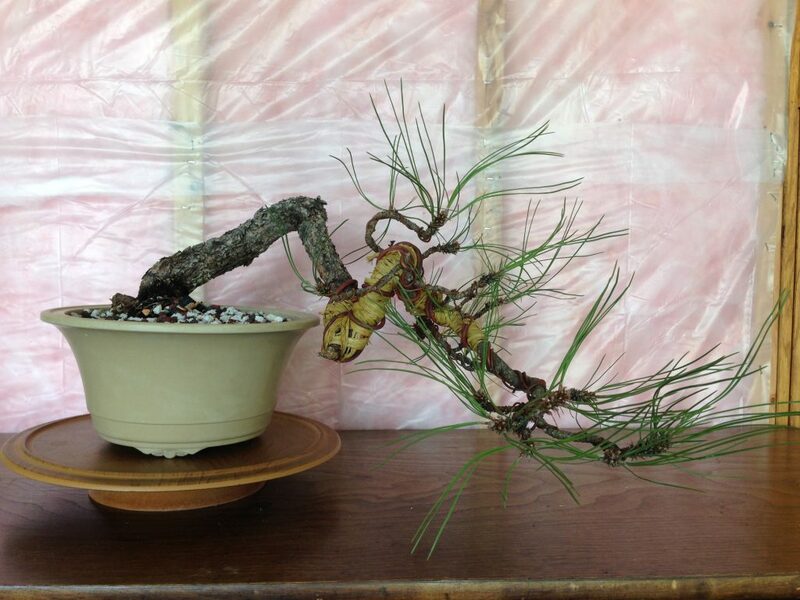 The problem with this method is that we can’t treat Ponderosa Pine like a Black Pine or a Deciduous tree. The same mechanisms to do not occur in these very different species. We handle Ponderosa Pines like Ponderosa Pines. 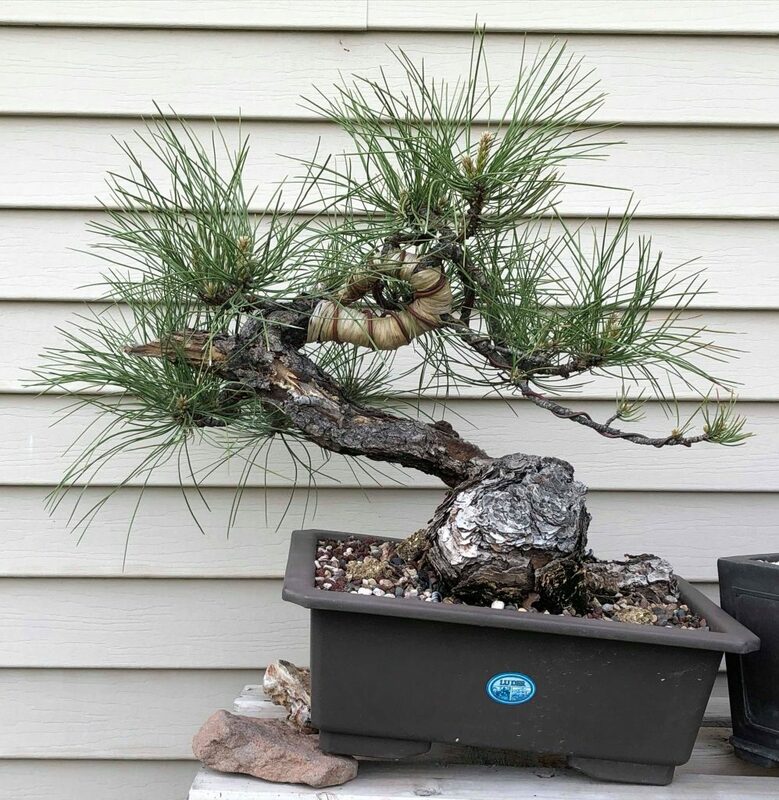 After performing the "Fall Technique"
Our goal when we collect a Ponderosa Pine is to get it as healthy as possible. How do you get a tree healthy? Water and fertilize the tree as much as possible. 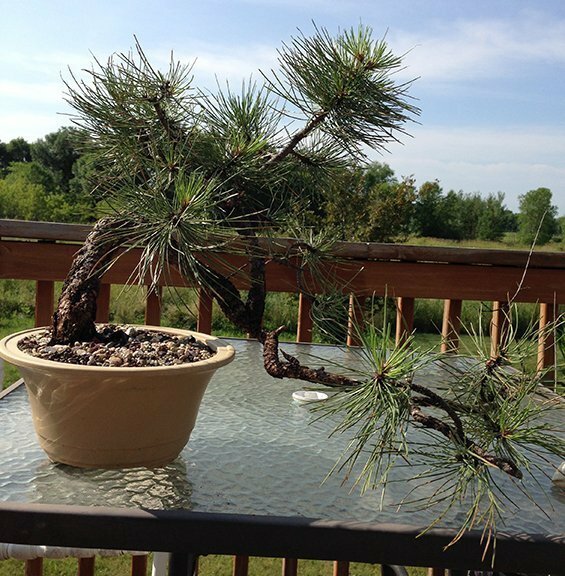 When we water and fertilize a Ponderosa we are giving the tree the optimal conditions that it needs to grow. We fertilize the tree from the time the tree comes out of dormancy until we tuck it away for the winter. We do this for 2, 3, 4 years or until we have what we want. The needles will be long and the tree will look shaggy. 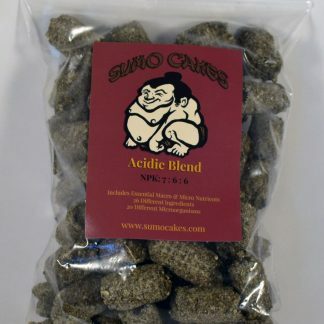 But it is the quickest and the best horticultural way to get back budding without jeopardizing the health of the tree. After 1 year of proper Fertilizer and water. Above I showed you three trees that were collected and you can see where the growth is located and the size of the needles. If we replicate the conditions where these trees grew for up to 100 years, we can expect the same things to happen in the next 100 years. We would see short needles at the tips of branches that just keep getting further and further away from the trunk of the tree. We would probably not have anything new to ever cut back to. 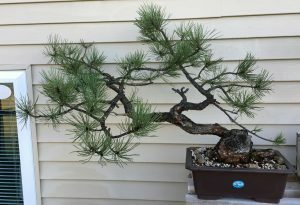 Also above is an example of a Ponderosa Pine after performing the “Fall Technique”. 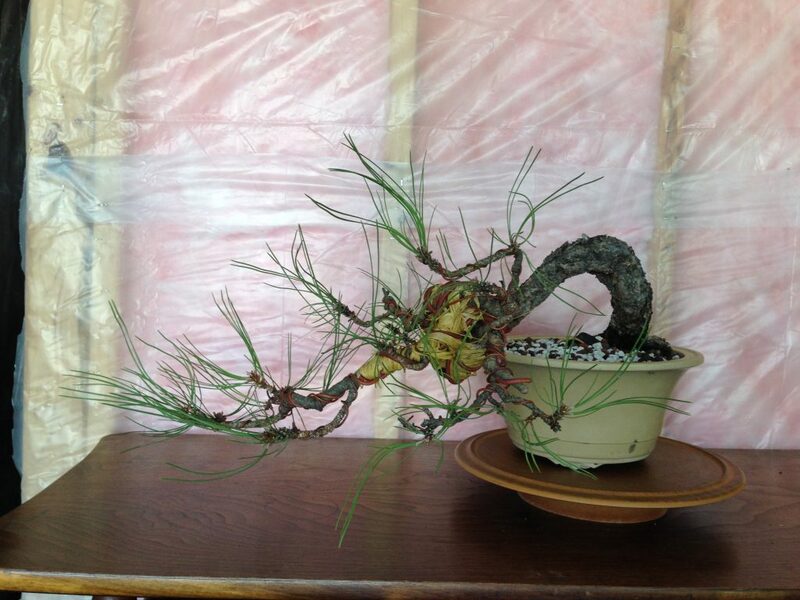 Most of the needles have been removed and the terminal buds were cut. This was supposed to force the tree into pushing new buds back on the branches. The pictured tree did happen to survive this procedure and did produce relatively small needles but there were no back buds. I fertilized only in the fall as the technique suggests. I watered when the tree needed it. 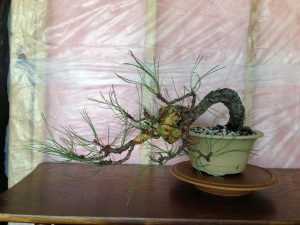 I performed this in the fall of 2015 and at the time of writing this page (2018), the tree has yet to produce any buds other than at the tips of the branches. To save the tree I started fertilizing a bit more to build up strength. What happens when we perform the “Fall Technique” is that we are reducing the photosynthetic area and we are removing auxin at the tip by removing the terminal bud. On a deciduous tree, this would produce more buds along the branch creating finer ramification and in turn small leaves, but we are dealing with a conifer. 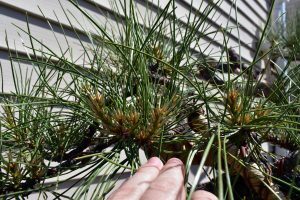 On a Black Pine, we cut the candles in late spring early summer and we pull needles to redistribute energy from the strong to the weak, but we are not dealing with a Black Pine. 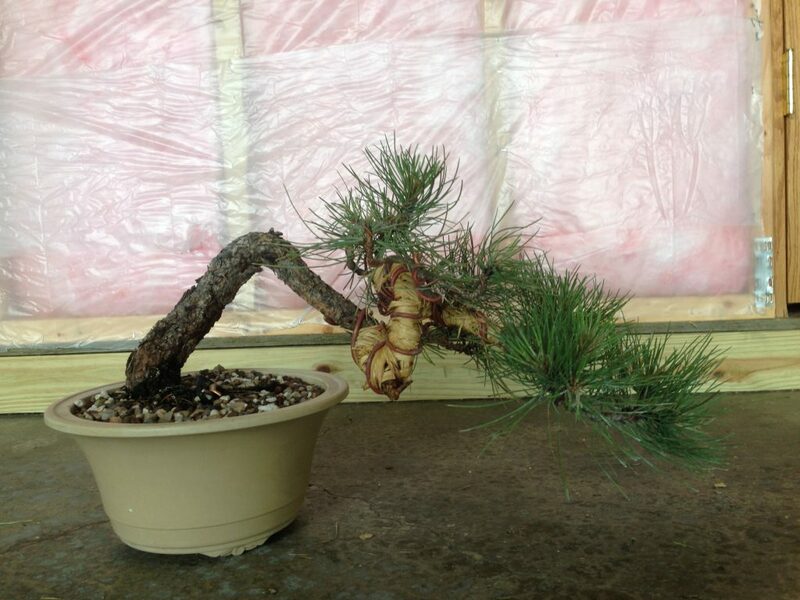 We are dealing with a slow-growing Ponderosa Pine. 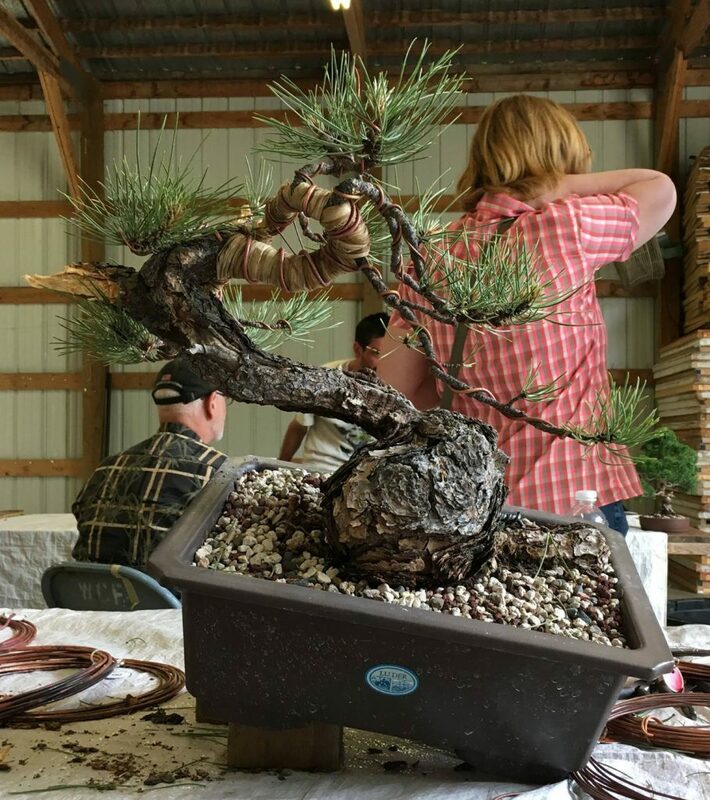 You can not treat a Ponderosa Pine this way and expect a well-ramified tree. I did the “Fall Technique” on two Ponderosas and only one is alive today. I do not recommend using the “Fall Technique” on any Ponderosa. After using it early on in my pine journey and learning a vast bit more about horticulture, this Old Way just makes little sense. One note I have to make. 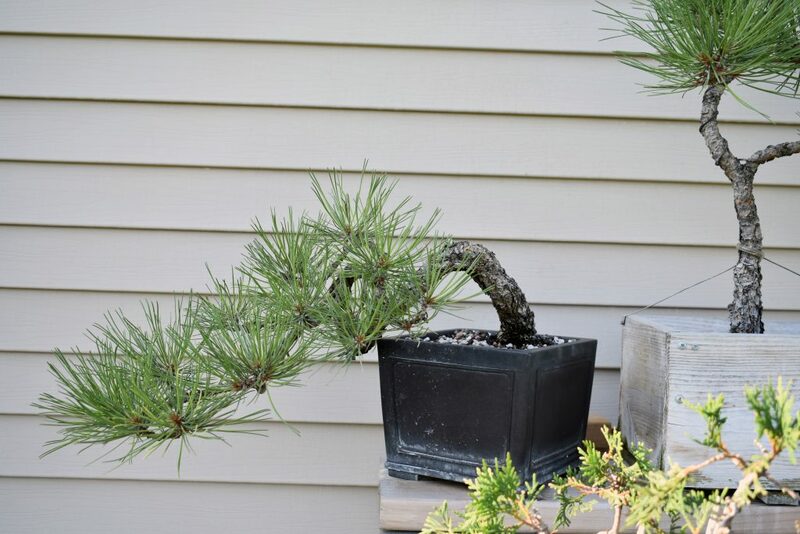 I did repot these two trees too soon after performing the technique. Is it really a new way? I am not so sure about that. 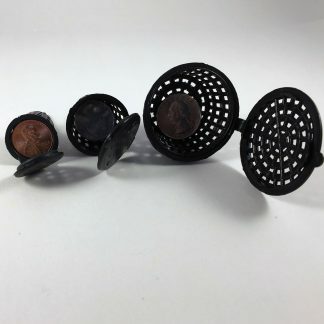 But what it does is uses a sound horticultural technique to provide the tree with enough resources to provide you with what you are looking for. More back buds. I have told you already that Ponderosa Pines can grow up to 100′ or more in the best conditions, but you are now in possession of a tree that is 100 years old and only 2′ tall. The tree you see as a freshly collected specimen has not had the opportunity to grow in the best conditions. Providing the best possible growing conditions by giving the tree enough fertilizer and water, we allow the tree to grow. We allow the tree to produce its natural longer needles. 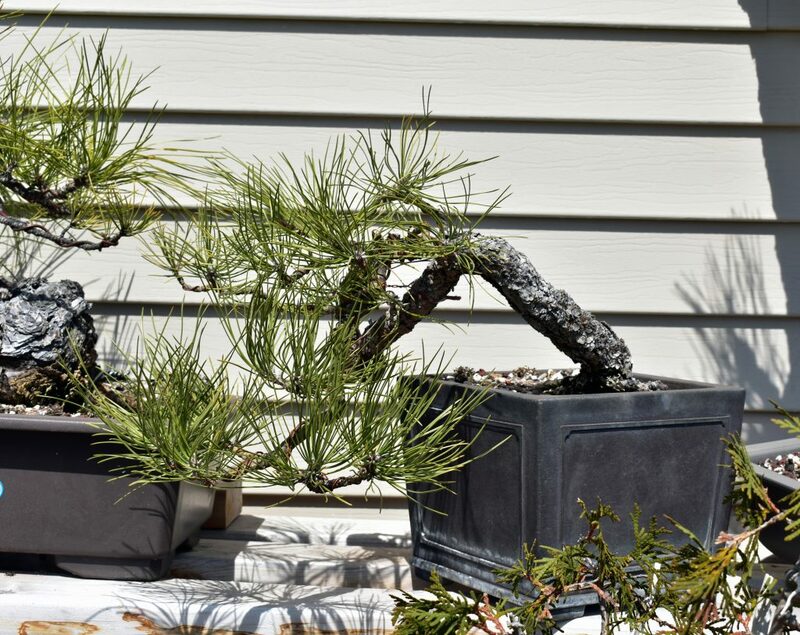 These longer needles give the tree more photosynthetic area along with more area to transpire. The more photosynthetic action that is created the more carbohydrates that are produced. The transpiration taking place creates more water flowing through the tree to move those carbohydrates. This is the direct contrast to the Old Way. I am going to run through an explanation of the “New Way” on a newly acquired collected Ponderosa Pine. We fertilize and water regularly from the time we acquire the tree until it goes dormant late fall. If the tree is healthy we can set the structure or give it it’s first styling. We don’t pull needles or cut buds. We just let it grow. This fertilization and watering will help facilitate longer needles. 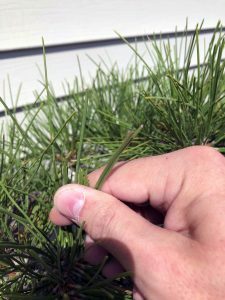 The longer needles create a greater photosynthetic area producing more carbohydrates for the tree to store in the fall. As the tree comes out of dormancy in the spring of the following year we continue to fertilize and water regularly. The tree starts to push the stored carbohydrates back up through the tree. 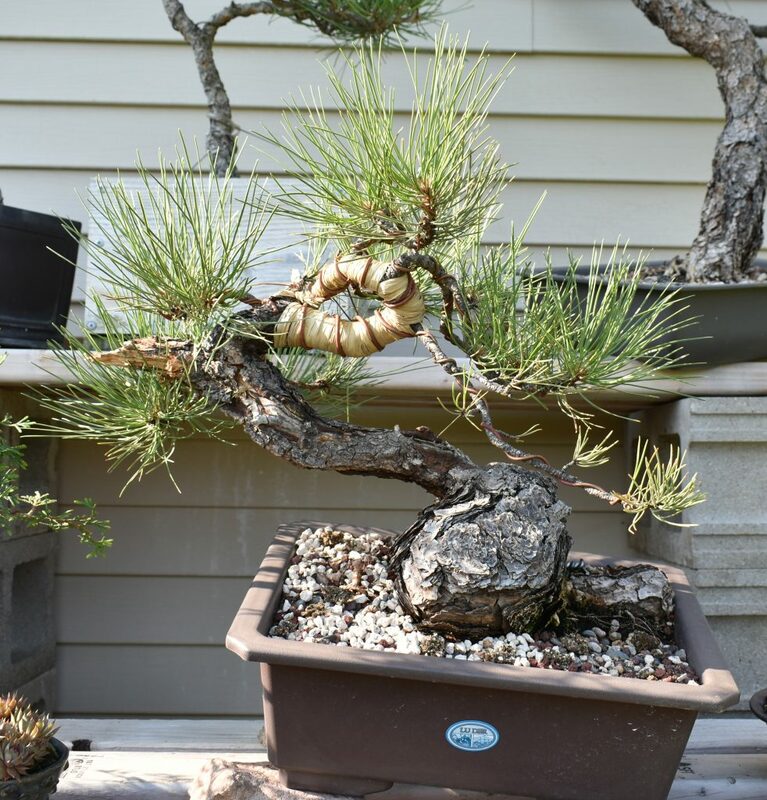 This is more than the tree is used to having so it puts out new buds and more needles. This tree has probably never seen so much nutrition and water. It has now been given a more optimal situation. It is happy. We continue to fertilize and water regularly throughout the year until the tree goes dormant. We don’t pull needles and we don’t cut buds. We treat for pests and diseases but other than that, we let the tree grow. The tree has longer needles and now because of the new buds we had this year the tree has a lot more needles. 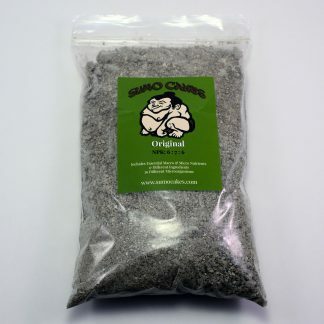 This adds to the carbohydrate stores in the fall. When the tree starts to come back out of dormancy in the spring the next year we do the same thing. We fertilize and we water. We treat for pests and diseases. We don’t pull needles or cut buds. We keep doing this until the tree has given us what we want. We haven’t forced the tree into doing something that it can’t, we have gently asked it to be happy and grow. As Ryan Neil says, the pot is the limiting factor. The pot can only hold so many roots and those roots can only hold so much energy. Each needle on the tree requires a certain amount of energy. If we know that the roots can only hold so much energy then we know that the more needles that are on the tree the less energy that each needle gets. If the roots have 10 pieces of energy and you have 1 needle on the tree, that needle gets all 10 pieces of energy. If the tree has 2 needles, then each needle gets 5 pieces of energy. If the tree has 5 needles then each needle gets 2 pieces of energy and so on. Three, four, five years after collecting if we fertilize and water from spring to fall we will have a Ponderosa Pine with a lot of needle mass, lots of interior budding and the newest needles will be shorter and shorter as a result of the larger needle mass. When the tree has given us everything we have been looking for, we can go ahead and water as needed and only fertilize in the fall. Fall being as the third year needles start to fall off. Now is the time to start cutting back to the interior growth. You can do a second styling now as well. 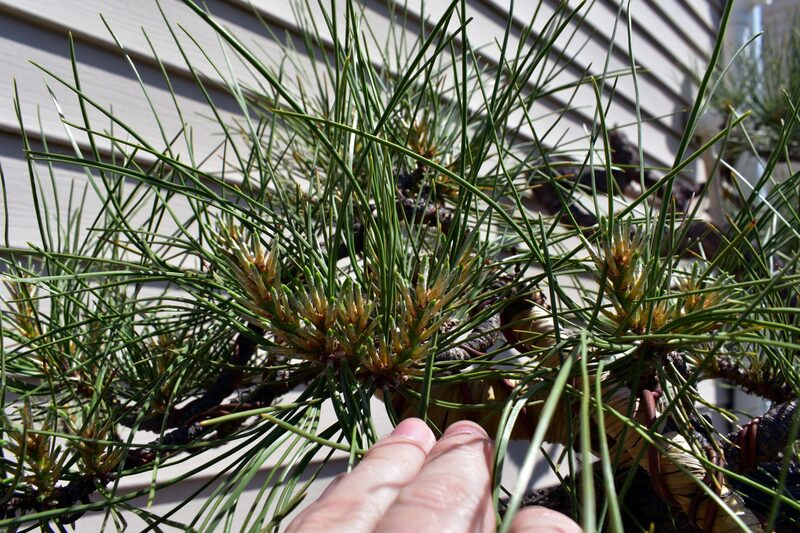 This is an image of Ponderosa Pine needles a year apart. The longer needles are last years needles (2017). The shorter are this year’s needles (2018). 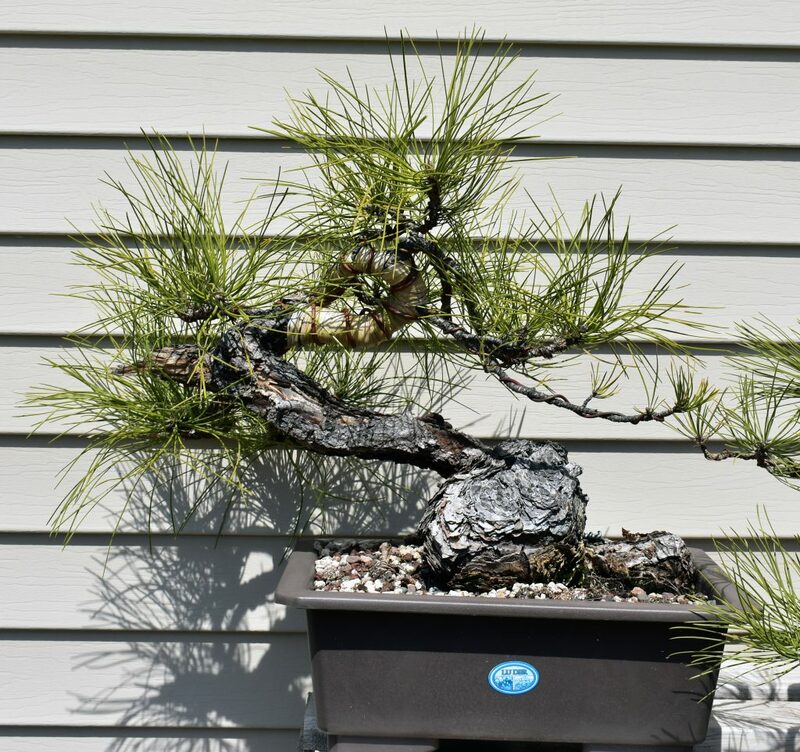 The photo was taken on August 22nd, so the needles are just about done growing for the year. To put an end to my ramblings here I would suggest this “New Way”. Personally, I have seen a vast difference in health and development. I have worked on one of these trees since 2015 and the other since 2017. The 2015 tree is not as far along because of the lack of ramification. I have set this tree back by the weakening of it. The 2017 tree has an abundance of new shoots to create ramification from when the time comes. This tree is years ahead already. Thanks for reading. I will probably rewrite this page at some point. Just remember that when you are forced to do something and you don’t have the energy to do it, you are not going to do it that well. If you give yourself enough energy you can do a lot. 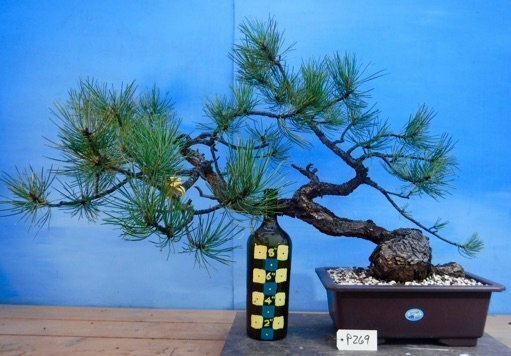 Same with a Ponderosa Pine Bonsai.